You are here: Home / Fire doors / Fire door upgrades / Intumescent paint and varnishes for wood etc. A range of clear or white intumescent coatings, ideal for upgrading existing timber surfaces to either 30 or 60 minutes integrity. Can be easily applied internally or externally by brush, roller or spray. – Perfect for upgrading existing wooden doors to 30 or 60-minute fire doors – no need to replace them! 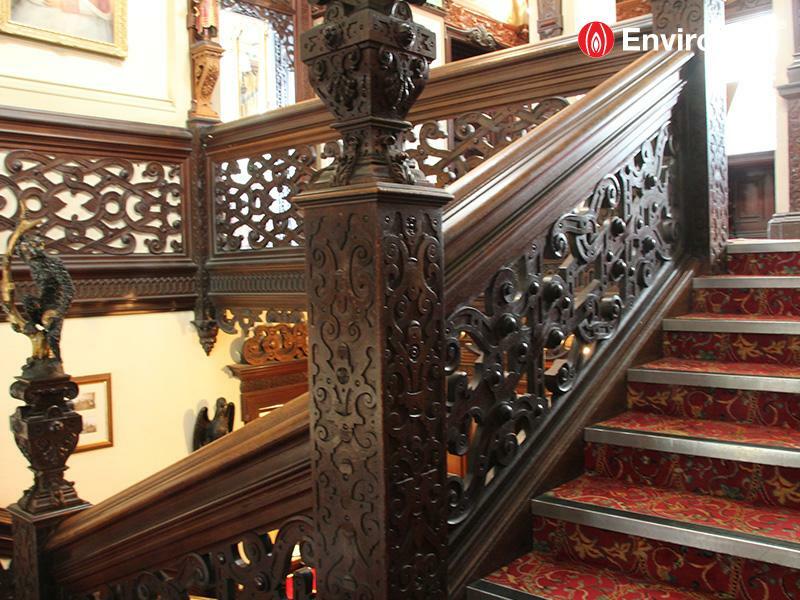 Because our timber coatings must be applied in a specific way in order to achieve the specified fire ratings, we advise using the downloads available on the right-hand side of the page. Here, in-depth Application Instructions for the range can be found, arranged by individual coating, primer or top coat. The Technical Overviews summarise the recommended usage of the coatings, including spreading rate and drying times. COSHH data is also available to download. A water-based product to apply over existing paint, varnish or wax surfaces, before applying other coatings. HW01FLEX is a water-based product that MUST have a protective Top Sealer Coat applied. Once coated, HW01F will last the life of the Top Coat. 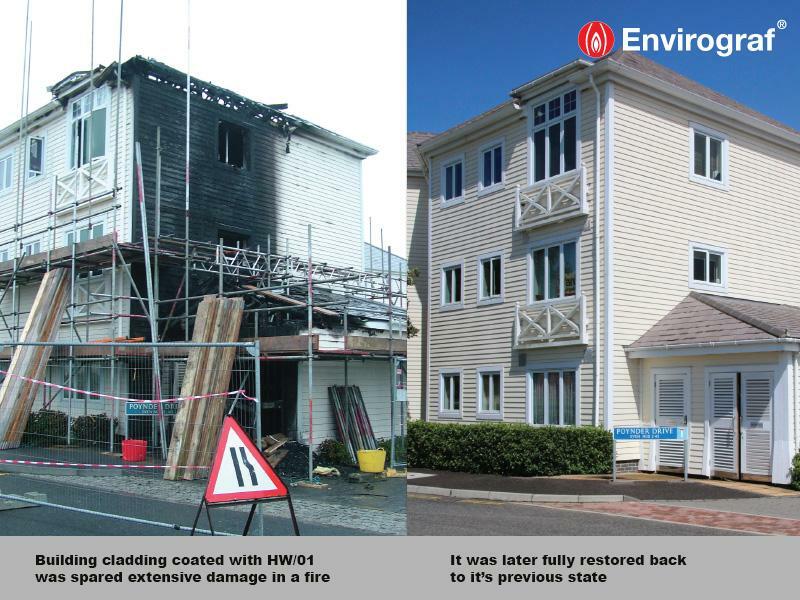 If the Top Coat is re-applied at the end of the cycle, HW01F will continue to offer fire protection for life. For INTERNAL & EXTERNAL use. A solvent based product to apply over HW01F – no need for UC. FINISH: SATIN/GLOSS. For INTERNAL & EXTERNAL use. A water-based product to apply over HW01F – no need for an Undercoat. FINISH: MATT/SATIN/GLOSS. For INTERNAL use. A water-based product, but HWAP/WB Primer must be applied over the HW01F first. FINISH: SATIN. For INTERNAL & EXTERNAL use. White or Coloured. A water-based product to apply over HW01F – no need for an Undercoat. FINISH: GLOSS. For INTERNAL & EXTERNAL use. White or Coloured. A water-based product to apply over HW01F, very robust, can be scrubbed or hosed. Apply 1 coat for cleaning down regularly or 2 coats for scrubbing down. FINISH: 10% MATT 30% SATIN. For INTERNAL use. A Water-based Acrylic emulsion product. FINISH: MATT. For INTERNAL & EXTERNAL use. 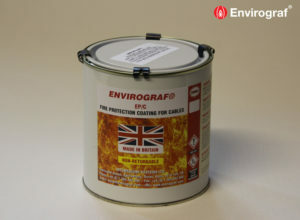 HW/AG is a clear, quick-drying coating which protects against graffiti of all kinds and, when used in conjunction with Envirograf® fire protection coatings, offering BS476 Class 0 and Class 1 spread of flame. It can be cleaned repeatedly without special chemicals. Supplied in a single pack and available in matt or gloss finishes. Excellent adhesion to concrete, brick, stone, render, timber, metal, cladding, and most previously-sealed surfaces (use on masonry paint should be patch-tested first for adhesion). Short drying and recoating times mean that rapid protection can be achieved. As HW/AG is clear, the surface must be decorated as required before coating with HW/AG. A water-based product to apply over existing paint, varnish or wax surfaces, before applying other coatings. For INTERNAL use. Water-based clear intumescent coating for all wood/related products. Tested to BS476 Parts 6 & 7 (1987) (Class 0 & Class 1), EN13501 (Classification A1-B/S1/d0) plus BS476 Part 22 (1987) and EN1364-1 for 30/60 minutes integrity/insulation/stability, dependent on wood thickness. This product requires use of top coat. 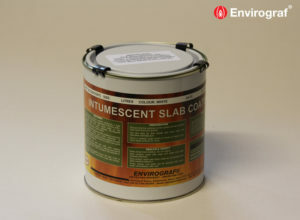 HW02E Clear intumescent Coating for INTERNAL & EXTERNAL use. HW02E is a water-based product that MUST have a protective top sealer coat applied. Once coated, HW02E will last the life of the top coat. If the top coat is re-applied at the end of the cycle, HW02E will continue to offer fire protection for life. If applying to a black surface, you must apply a black top coat. This is a specially-formulated clear coating for use on timber floors, walls, doors, bar tops, etc., where they are liable to knocks or damage. For internal use only. Applications by brush or spray. ENV/HS High-Density Clear Lacquer for use over HW02E, ES/VFR, or QVFR. A water-based product to apply over HW01, HW02E, and Product 92 range. FINISH: SATIN/GLOSS. For INTERNAL use. A solvent based product to apply over HW02E – no need for an Undercoat. FINISH: MATT/SATIN/GLOSS. For INTERNAL use. A hardwearing water-based product to apply over HW02E – no need for an Undercoat. Ideal for use on doors or floors. FINISH: MATT/SATIN. For INTERNAL use. A solvent-based product with basic UV protection to apply over HW02E – no need for an Undercoat. FINISH: MATT/SATIN/GLOSS. For EXTERNAL use. For EXTRA UV protection above the standard level, state “extra UV protection” on your order and add 10% to the prices above. 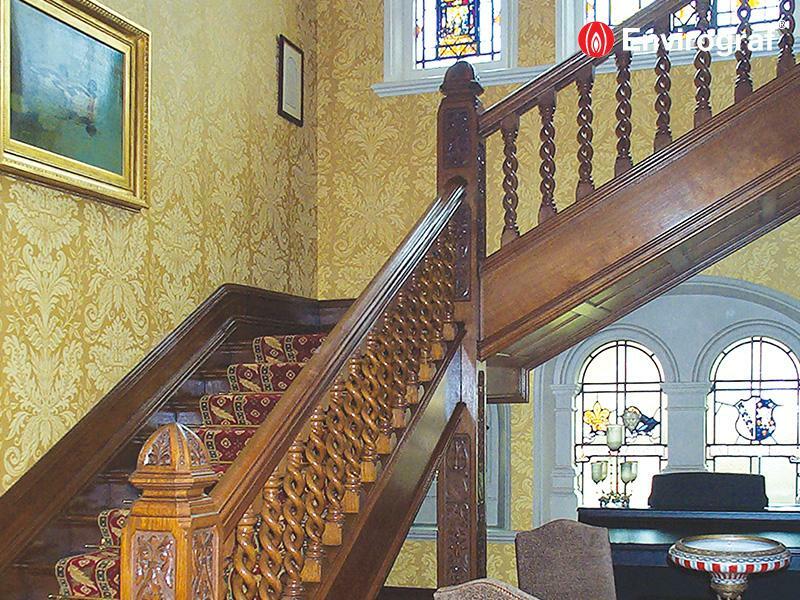 HW TRANSLUCENT Top Coat A satin solvent based wood stain to apply over HW02E for INTERNAL & EXTERNAL USE. A Chlorinated Rubber Top Coat, for use over HW01F (white) or HW02E (clear). FINISH: SATIN, For use over HW02E, 2 coats must be applied at 8-10m² per litre, per coat. 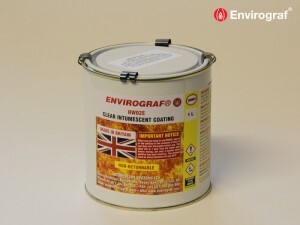 Where existing paint or varnish needs to be removed before applying Envirograf® Fire Protection. Easy use – wash off with water. A cleaning liquid to gently remove grease, wax, cigarette stains, etc., before applying Envirograf® Fire Protection. Can be diluted with 20% water (if required). 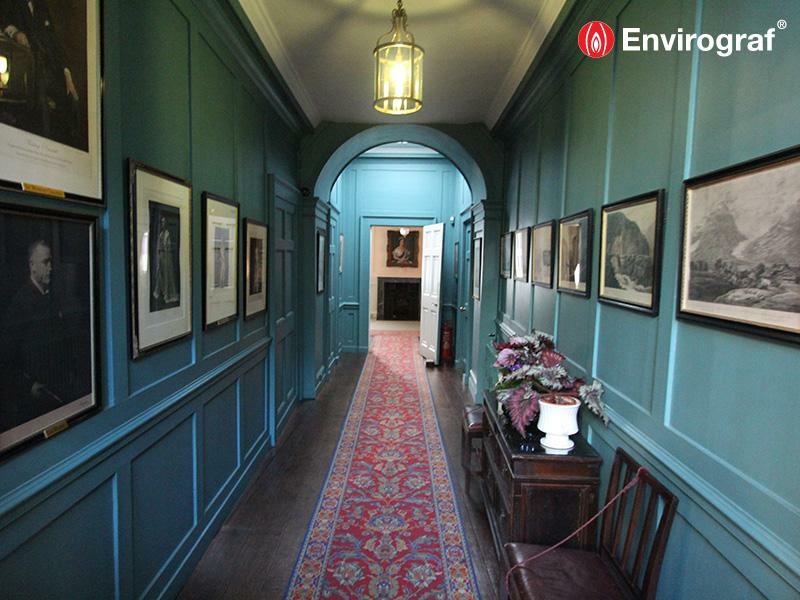 Enquire about Intumescent paint and varnishes for wood etc. Tested on a wide range of wooden doors, achieving 60 minutes integrity and either 30 or 60-minute fire protection and insulation according to BS476 Part22. 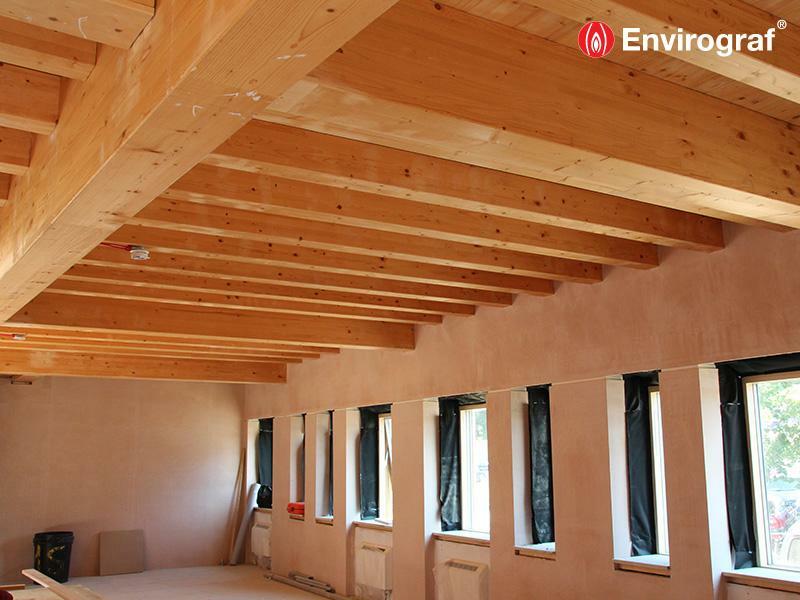 Up to 60 minutes fire protection achieved on open joists and floorboards according to BS476 Part 20. 90-minute fire rating achieved on timber mouldings and carcasses according to BS476 Part 20. 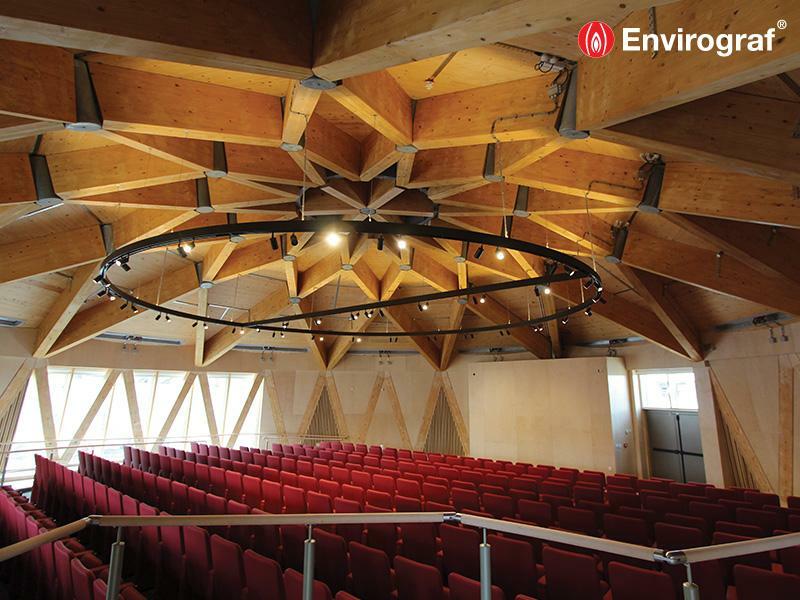 Tested on a range of timber types, including plywood and MDF, complying with BS476 Parts 6 & 7, Classes 0 & 1 (Spread of Flame). Tested to European Standard EN1364-1, achieving 66 minutes integrity. Complies with Classification B/S1/d0 of European Standard EN13823, single burn test (SBI) and EN11925-2 (ignitability). 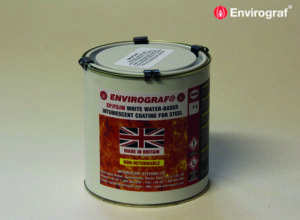 Envirograf® is now proud to announce the attainment of Class A Flame Spread Classification to UL723 Standard (Test for Surface Burning Characteristics of Building Materials) with Flame Spread 25 and Smoke Development 300.